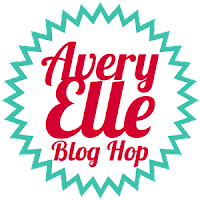 Today is not an ordinary day around here:) Yes, it's Avery Elle Blog Hop Day, and, of course, that's always fun! But today, I have all kinds of happy, happy news that I have been longing to share! I hope you have some time to sit awhile, this is going to be a long one;) The theme for today is beginnings! 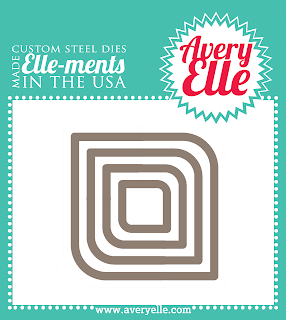 This chevron stamp is so versatile because is can be used alone or with any size of the Rounded Diamonds dies. 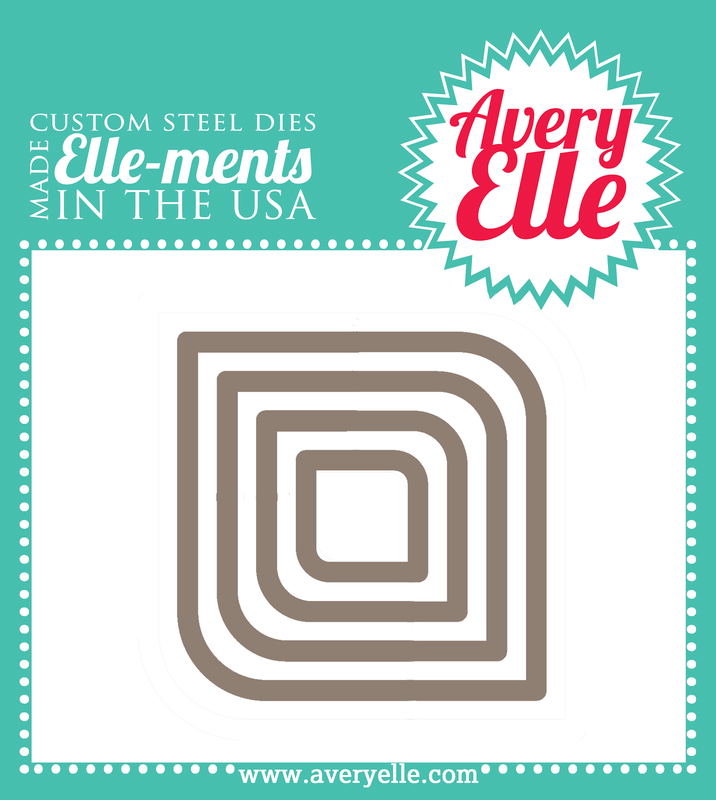 You'll notice that the chevron design itself goes all the way to the edge of the cut for a nice clean look! Let's keep moving shall we? My second card takes advantage of the ability to do a reverse cut design. I really hope that you've enjoyed the dies and stamps I've used today! Not only because I'm a DT member, but because I had a hand in designing these babies! Yup, I designed the Rounded Diamond dies and I collaborated with Jamie (the owner/designer of Avery Elle) on the coordinating stamps (THANK YOU FOR TAKING A CHANCE WITH ME JAMIE!). Even as I write this blog post, I still can't believe it! I didn't intend on designing dies or stamps. Truthfully, the only reason I tried any designing at all is a purely selfish one. I wanted them and couldn't find them on the market:) Simple as that! I've always been a fan of squeezing the most from your craft tools and I specifically designed this set to be used in multiple ways. My die designs (die-signs?) are meant to be used with the coordinating stamps OR by themselves to build backgrounds, shapes, tags, whatever! I really hope you see the same potential in them that I do:) And you never know what other dies may be in the works (did I say that?)! 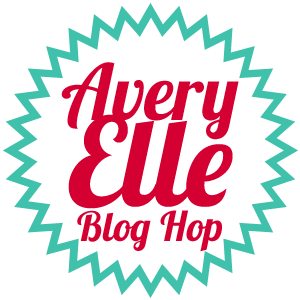 Don't forget, to celebrate the April Release Blog Hop, Avery Elle is giving away a $25 Gift Certificate to one winner! You have until Sunday, March 31st EST to enter. The winner will be announced on the Avery Elle blog on Monday, April 1st (no foolin'). All products will be available for right NOW!!! OMG, JJ!! Congrats and I'm so excited to see everything you design since I LOVE your style. Loving what you've come up with so far and I know we can all expect great things. Woo hoo! Wow... so exciting! I love the rounded dies... but I especially love the clean and unique look of your creations! Thanks so much! oh my word first your first card is amazing.. so awesome.. love that there is die's now.. so exciting.. Thanks for sharing..
Love what you've designed, JJ! It's so fabulously graphic and right up my alley! Your projects are superb as always! Way to go! OMG, JJ! I love your new stamp and die designs. And you provided some great creations and you've got my mind working already on what I can do with your new products. I can't wait to order and get them in my hands. Congrats!!! Love the dies you designed...awesome! I like to fussy cut but having the dies and matching stamps has made life a lot easier. This set is really great. Love the use of the vellum. You don't see that used too often. Awesome grouping of projects. Your cards are always so colorful and bright - I love them! This new Rounded Diamonds set is going on my wish list right now, it's awesome. And especially with the matching dies - it's perfect. JJ, I am so excited for you! Congratulations! Your cards are AMAZING! Congrats on your new dies! They are perfectly graphic - love them! 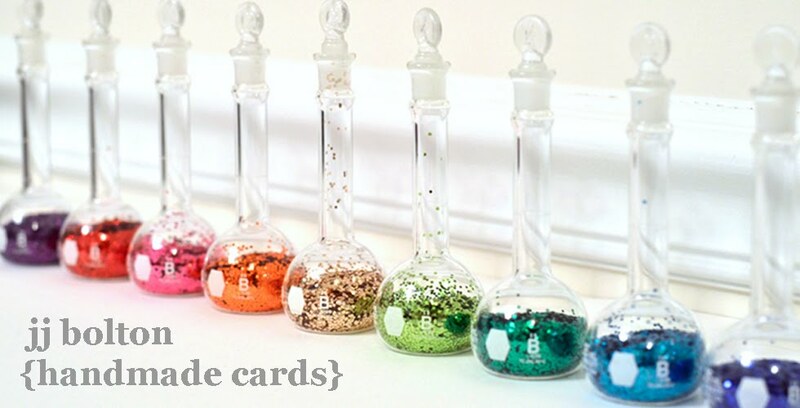 Love your cards using Rounded Diamonds!! Great new set and dies! Looking at those dies I thought "absolutely perfect for JJ - here comes more negative die cut gorgeousness". Then to hear you had a hand in the design - I wasn't surprised. Go girl! I've loved that "shape" forever - so mod. Love, love, love all of your cards! This is my favorite stamp & die set from the new release! Love the new die and stamp, I love not having to fussy cut. Congrats on the new designing job! Cannot get enough of dies! Great cards! Awesomeness, girl!!! LURVE those dies!!! Wow! The die and stamp combinations are definitely winners! Uber great job on these cards. Your projects are stunning (loving the vellum - you've got me using mine again!) and oh my goodness, I am just so excited about you designing! WOOT! You are a ROCK STAR, JJ! LOVE your die-signs and your fabulous showcase! LOVE!! Congrats on your new venture! Your card designs are just fantastic! I'm just loving these stamps and dies! These are AMAZING JJ! Love the coordinating stamps too. Who would have thought that rounded diamonds could be so cool? But they are!!! You are AH-mazing! I am amazed at this NEW diecut that you had designed! AE is lucky to have you on the team! I am looking forward to more AH-mazing stamping/die-cutting goodness from you! PS: Thanks so much for following! I love the diecut you used and how you used it on your cards! It is so going on my wish list! Thanks for sharing your amazing ideas with us. Beautiful creations by the DT! Love these new dies! Thanks for sharing & the giveaway! Your cards are awesome...love this die set and you have really showcased some wonderful ideas with it!!! Thank you for the chance to win!! I love what you did with the stamps and dies. These shapes are great! Wow you have been a busy girl JJ! Love the dies - no kidding right? Beautiful clean cards that make me want to get these like yesterday! Both the dies and stamp set are fabulous, as are (as always) the samples, JJ! So happy that you are designing products! Can't wait to see more of your designs, congrats girl! Fun cards! I especially love the way you used the negative of the die. JJ love your new designs. I love how graphic they are and the stamps to use with them are awesome - very on trend. I can't wait to see what the other bloggers did with them. I just started following you and just love your style! Congrats on the new designs - they're awesome. A HUGE CONGRATS to you, JJ!!! I love your new die and perfect matching stamp set! 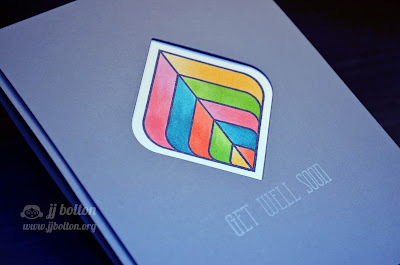 Your cards are always amazing, and these are no exception..so fun and colorful! Thanks for the update and for sharing the link to the new stamps and dies...hugs to you! This last day has totally belonged to my amazing GI girls! You all totally rock - just like these cards!! My favourite is the middle one - perfect layout, great pops of colour in the negatives, and just all-round awesome!! JJ- I am blown away with your cards today! I knew that, of course, you would rock these dies! Here is to great things ahead!!! 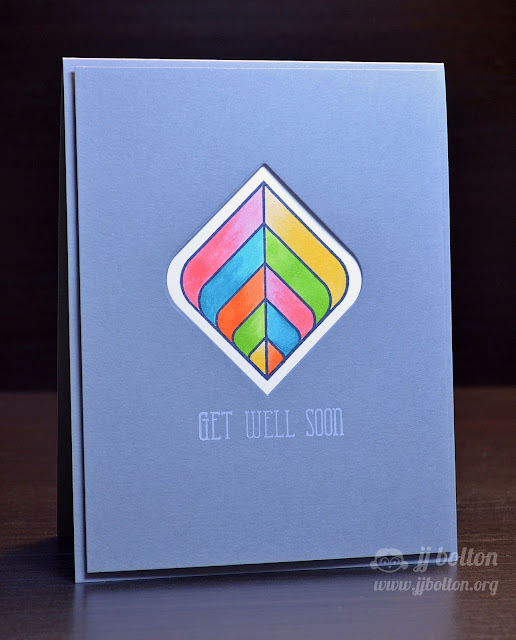 Your cards are just cool--I love what you did with the die cuts! Congrats!!! Those are great cards and dies! Awesome cards using these new products! looovvve your use of the negative die cuts! And this new die set is awesome! Thanks so much! congratulations! and these cards are fabulous! Very cool! Love your cards, they are awesome! Fabulous! Love the stamps and coordinating dies! Love your cards! This is so awesome, JJ!! Congrats on the new stamp set and dies- just love both! You did a fabulous job!! Amazing projects, as usual. And, congrats on those dies. They are totally coming home with me. Love them. LOVE LOVE LOVE those dies... They're definitely super versatile! TFS!!! Your cards are gorgeous! 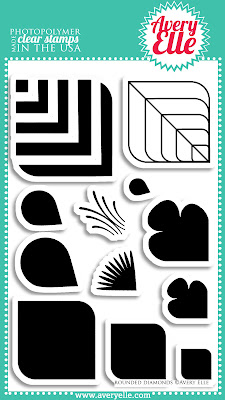 Love the Rounded Diamonds dies and stamps!!!! JJ this set is perfection! I love that you designed it and of course, you sure know how to use it~congratulations on your debut! Sorry about that last comment falling off. I 'm new to blogging and just created it this morning so I could comment on your site! Oh my...you really knocked this stamp and die set out of the park. Every one of your cards is fabulous. JJ I am so so excited for yo! You have such a great eye, designing is a natural fit for you, can't wait to see what else you come up with! Honks for you! Shut the front door ! This set is so you ...it all started with that feather card! I love this and will buy it because no else has anything like it, just fabulous! JJ, loving all the different takes with the die you designed and its stamp!!! I just love these dies you designed. I esp. like the last card and how you used the dies in so many different ways. congrats. Congrats, JJ, on creating your first dies & stamps! They definitely fill a void in the die-cutting/stamping world. Your first two cards are right up my alley ~ similar style, and totally appreciate your third one because I'm not into coloring. Lucky I can find enough time to create all the cards I send to friends & family. : ) Thanks for the chance to win Rounded Diamonds ~ love diamonds any size or shape. : ) After all, they are my birthstone. So happy for you JJ, these dies have your style written all over them and they will be a great addition to any craft stash. Love how you've used them, you obviously put a lot of thought into making them so versatile :0) Looking forward to more designs in the future!! I LOVE decorative elements like this - SO many creative possibilities! You certainly did a great job showing off their versaility too, lovely cards!! Love this - very clean and fresh. I will have to start working with cutouts! Whoop whoop! Big congrats on your first designs, JJ! Those dies and stamps are awesome and sos totally you - graphic coolness. :) Your cards showcase their diversity so perfectly and I keep dithering about which one I like best. You rock! Hope you guys had a lovely weekend! Your cards are beautiful. Love the stamp set and coordinating dies.